We seek to understand the molecular causation of inborn errors of metabolism and to improve their outcome – conducting therapeutic research principally in the field of lysosomal disorders – with special reference to sphingolipidoses , most of which affect the brain. 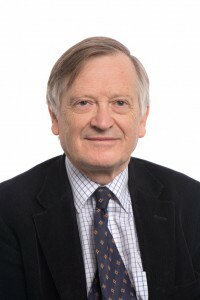 As an Internist and Metabolic Physician, Professor Tim Cox, with Drs Patrick Deegan, Paul Flynn, William Griffiths and Chong Yew Tan, has clinical interests in the disorders of fructose and iron metabolism, as well as sundry inborn errors of metabolism, such as porphyria and alkaptonuria. The principal work focus of the clinical team includes patients with lysosomal diseases. Cachón-González MB, Wang SZ, Ziegler R, Cheng SH, Cox TM. (2014). Reversibility of neuropathology in Tay-Sachs related diseases. Human Molecular Genetics 23: 730-748. Vitner EB, Salomon R, Farfel-Becker T, Meshcheriakova A, Ali M, Klein A, Shinder V, Cox TM, Futerman AH. (2014). RIP3 as a novel therapeutic target for Gaucher disease. Nature Medicine 20: 204-208. Bowes O, Baxter K, Elsey T, Snead M, Cox T. (2014). Hereditary hyperferritinaemia cataract syndrome. Lancet 383 (9927):1520.